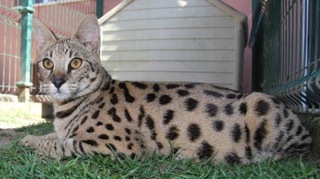 We are a new cattery in Portugal, breeding Bengal and Savannah cats. Bengalserver is TICA registered and members of The Savannah Cat Club as well as Savannah breed section and Voluntary TICA Responsible Breeder Program. Our Savannahs came from A1 Savannah, Oklahoma.